Feick Security Corporation is a full service security company serving Miami-Dade County for over 56 years. Locally owned and operated, Feick Security Corporation with over 250 full time guards providing security services to residential, commercial and governmental clients. You can rely on us to deliver the highest quality professional security services specific to your requirements. Feick Security Corporation maintains the required license’s in the State of Florida. Feick Security maintains Insurance coverage’s specific for Security Guards Professional Liability and with insurance limits greater than any current contract requirements. Feick Security is one of only a few Security Guards Companies in Miami Dade County with an “A+” Better Business Bureau rating. Gary Feick is the son of Feick Security Corporation founder Fred Feick. Since joining the company in 1976, he has held various operational and management positions. In 1988 Fred Feick sold the Feick Security name and established reputation to the Forestville Corporation. With Gary Feick as the Executive Vice-president this new company grew to over 2400 officers. In 2003, Gary Feick partnered with Guillermo Salmon and re-established Feick Security Corporation as closely owned and operated business. Now serving as the President of Feick Security, Gary Feick oversees all business and administrative functions for the company. He is committed to maintaining a professional and conscience atmosphere where he and his management staff are always available to clients. Mr. Feick is a member of the American Society for Industrial Security-ASIS, the Alarm Association of Florida-A.A.F, the Central Station Alarm Association-CSAA, and a past member of the Board of Directors for Chamber South. Mr. Feick maintains current “DI”, “C”, “W”, Investigators and “M” Licenses issued by the State of Florida-Division of Licensing. Mr. Feick serves as a Trustee of Chamber South representing businesses in South Miami-Dade County. 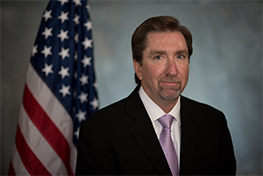 Guillermo “Willie” Salmon has served as Executive Vice-President of Feick Security Corporation since 2003. He is directly involved in every aspect of day to day operation. His extensive background in security began in 1982 when he joined the Feick Security Corporation. He served as the onsite supervisor for the Miami Design District and Security Director for Mall of the Americas, one of the largest commercial malls in South Florida. In 2003 Mr. Salmon partnered with Gary Feick to re-establish Feick Security Corporation as an independent, security firm. 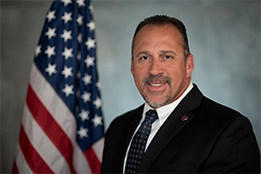 Antonio Sanchez joined Feick Security’s Senior Management team in 2013 after a twenty-five year career in local law enforcement career that culminated in his appointment as Deputy Chief of Police. 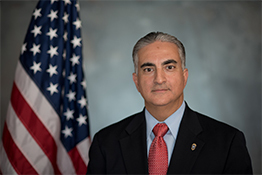 Over the course of his law enforcement career, Mr. Sanchez served as Regional Director of Investigative Services in South Florida for the Florida Department of Financial Services and Assistant Chief of Police. Mr. Sanchez is the recipient of the Davis Productivity Award for his service to the State of Florida. Mr. Sanchez holds a Master of Science Degree in Management and is pursuing his Doctor of Leadership and Management degree at St. Thomas University in Miami. Mr. Sanchez is a member of the Miami-Dade Police Chief’s Association, the Florida Police Chief’s Association, the International Police Chief’s Association, International Law Enforcement Educators and Trainers Association (ILEETA). Florida Association of Forensic Examiners, International Association of law Enforcement Planners (IALEP), and the National Association of Certified Fraud Examiners.